Fiat has announced the creation of Fiat Powertrain Technologies, a new industrial unit that will integrate all the Group’s innovative capabilities and expertise in the area of engines and transmissions - a new business open to the external world. The new company will operate in 12 countries with 26 plants and 16 research and development centers and will combine the resources, employees and activities of Fiat Auto Powertrain, Iveco Powertrain, Magneti Marelli Powertrain (including Motor Sport), Iveco Motoren Forschung and the Powertrain research activities of the Fiat Research Center and Elasis. Domenico Bordone, currently Magneti Marelli CEO, will be appointed CEO of the new company to be headquartered in Turin. Fiat Powertrain Technologies, which is expected to have a considerable future growth potential, will start operating with annual revenues of 6 billion euro, 20 percent of which from non-captive customers. It will employ over 23 thousand employees: 11,000 drawn from Fiat Auto, 7,200 from Iveco, 3,800 from Magneti Marelli Powertrain and over 1,000 from the Fiat Research Centre, Iveco Motoren Forschung and Elasis. 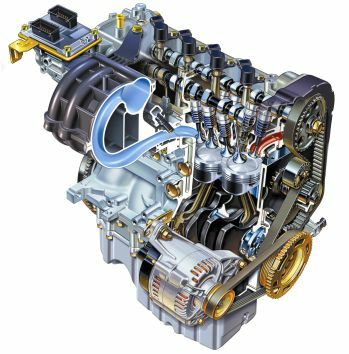 With an annual output of over 2,200,000 engines, some 2,000,000 transmissions, and an extensive range of both power outputs and applications, Fiat Powertrain Technologies will be one of the most significant players in the automotive world. The ability of operating in an integrated way across a larger number of cutting-edge research and engineering centers will bear significant advantages in the development of highly innovative and competitive products as far as performance and costs are concerned. The activities will be managed according to the following strategic lines:development of markets outside the Fiat Group; - enhancement of centers of technological excellence and systematic transfer of results to the product range; - integration of engineering capabilities from the product development to the testing phase, to product life-cycle management; - synergies of the industrialization and manufacturing process; - synergies in purchasing thanks to innovation, technological rationalization and larger volumes; - greater focus of R&D investments for environment-friendly powertrains: methane, hybrid, fuel-cell. “This business, which represents a fundamental step in the relaunch of the Fiat Group, will allow us to operate with greater flexibility and to leverage on the huge potential – particularly in the non-captive market – that up to now has been divided into different units” said Sergio Marchionne, Fiat Group CEO. “The integration of activities, products and highly qualified people will allow us to fully express Fiat Group’s great technological and innovation capabilities. “In Fiat’s history, our competence in mechanics and engines, in particular, has always been undisputed in the whole automotive world. Diesel engines are an example, to name but one. In fact, at the new company, a group of high-profile technicians, who have been working for years on racing engines, including Formula 1, will be devoted to the development and engineering of high performance engines. “Thanks to the synergies and efficiencies that will soon be found, Fiat Powertrain Technologies will significantly contribute to the improvement of the profitability of the Group, which, thanks to its new company, will be able to operate across international markets with renewed vigor and strength”.